Phones are exploding at a disturbing frequency these days. 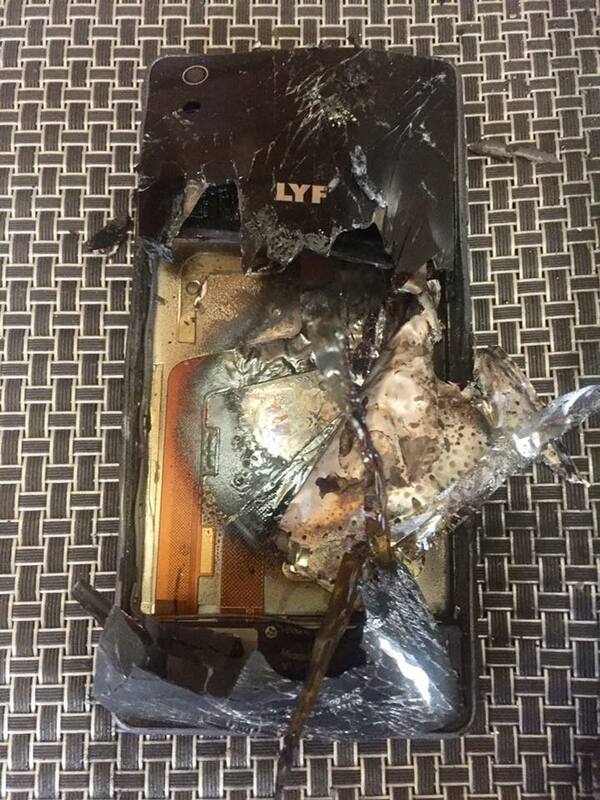 After Samsung’s Note 7 phone had started blowing up across the world leading to a massive recall, a Jammu and Kashmir based man has claimed that his Reliance Lyf phone has unexpectedly exploded. “My family had a narrow escape today after @reliancejio ‘s @Reliance_LYF phone exploded & burst into flames,” said Tanvir Sadiq. He posted pictures on Facebook and Twitter which were purportedly of his destroyed phone. Reliance Lyf immediately responded to Sadiq’s post on Twitter. “LYF range of phones are designed and manufactured with global standards by some of the world’s leading manufacturers of mobile phones. Each phone goes through a stringent quality control process,” said Reliance in a statement. The incident, though, has taken off on Twitter. Sadiq works for the Jammu Kashmir National Conference, and its leader, former J&K Chief Minister Omar Abdullah came out in his support. There have been instances in the past where people have made outrageous claims about big brands for attention, but given that a former Chief Minister seems to know the person in question, Reliance will do well to look into the matter. People are already on edge over exploding phones since the Note 7 fiasco, and reports of malfunctioning devices can hurt the momentum Reliance Jio has managed to rake up since its launch 2 months ago. Another revolutionary Indian product, the Tata Nano, had had reports of it exploding soon after its launch, and they dampened the initial enthusiasm for the cars. Reliance Jio has had a great run so far – it wouldn’t want such incidents to quell the enthusiasm for its phones.